There are so many things we’ve learned and lessons we’ve lived through in this whole prop / engine mount / engine aligning / stern tube / stuffing box / dripless saga, that I don’t even know where to start. Even the cliff-notes version ends up being a chapter book. 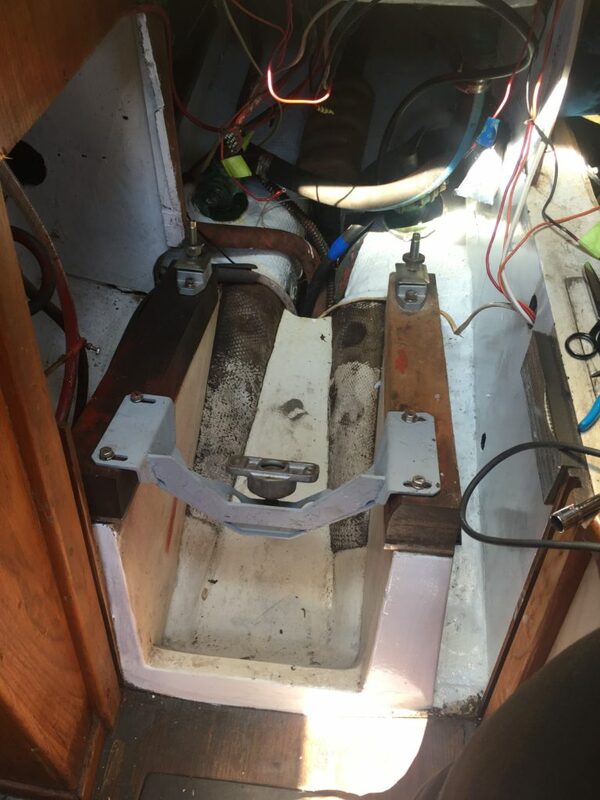 Suffice to start with, “aligning a sailboat engine is a task that appears simple on the outside, but actually has tentacles into many, many, many other aspects of the entire propulsion system”. And, “don’t trust the prop experts”. Let’s start at the beginning. Aligning an engine. In theory, you’re trying to get the shaft coupler to perfectly match up with the transmission on the back of the engine. In our case, this means you’re laying upside down underneath the cockpit floor, with your feet approximately 8″ above your head, absolutely zero wiggle room, and three mounts that you get to move up and down and up and down and up and down in a desperate attempt to get your engine ‘aligned’. Anyways, after we got the second set of mounts and the second round of engine aligning done (on our honeymoon – spring of 2013), the propulsion system was pretty happy. We were never fast (3.8 knots seems to be our most common motoring speed), but we were happy. Until last summer. 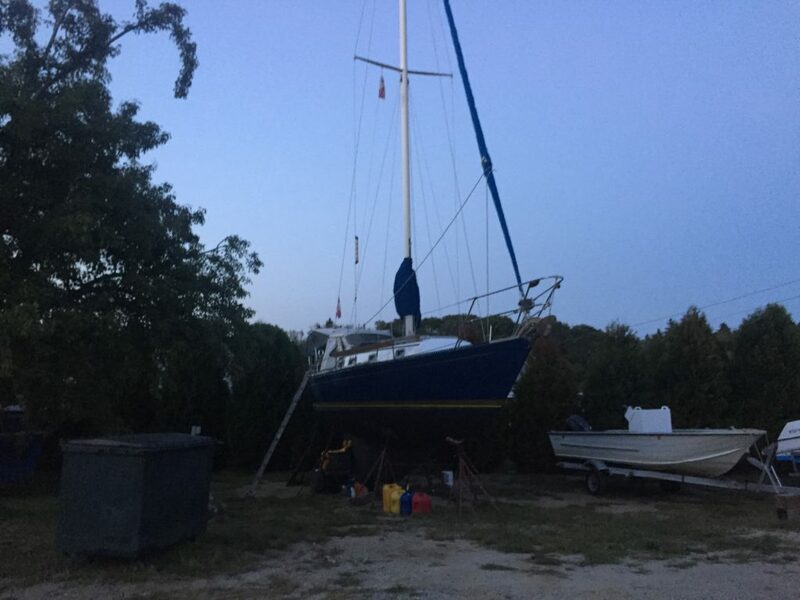 When we sucked some seaweed into our prop, overheated our stern tube to the point of a mini-fire, and ended up doing a surprise refit in Rockland. Surprise! It was big! It was shiny! It was so much better suited to our boat! It was going to make us so much faster! Literally, in forward gear at any moderate amount of RPMs, the prop would hit the aperture. (Side note: Don’t even get me started… Yes, in hindsight it’s obvious that it’s too big, and yes, maybe we the non-prop-experts should have known that this prop was too big… but we didn’t spec this prop. We just followed AccuTech’s advice, bought the prop and shaft and coupler that they recommended, and installed the damn thing. Do you think they offered any sympathy when we called to complain about this absolutely not right prop setup they’d sold us? Nope. Instead they got downright cranky and we completely gave up trying to reason with them. I always love when emails end with, “our lawyers will be in touch” — it strikes such a confident, classy note). 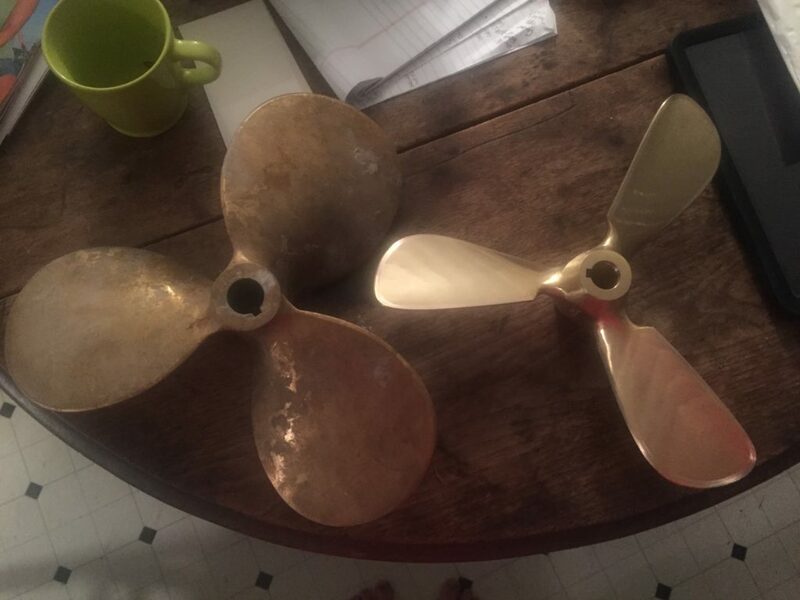 This whole prop saga ended our cruising season last summer. We plunked Brio into her winter slip, hunkered down for our first winter in Maine, and pondered what to do about our brand new prop. AccuTech’s suggestion had been to install a shaft saver, to push the prop an inch further back. We tried numerous shaft savers (bright orange donut-looking things that somehow all range from $250-$350), but none gave us enough clearance off the aperture without also exposing a lot of unsupported shaft. The arrow is pointing to what used to be our stern tube. 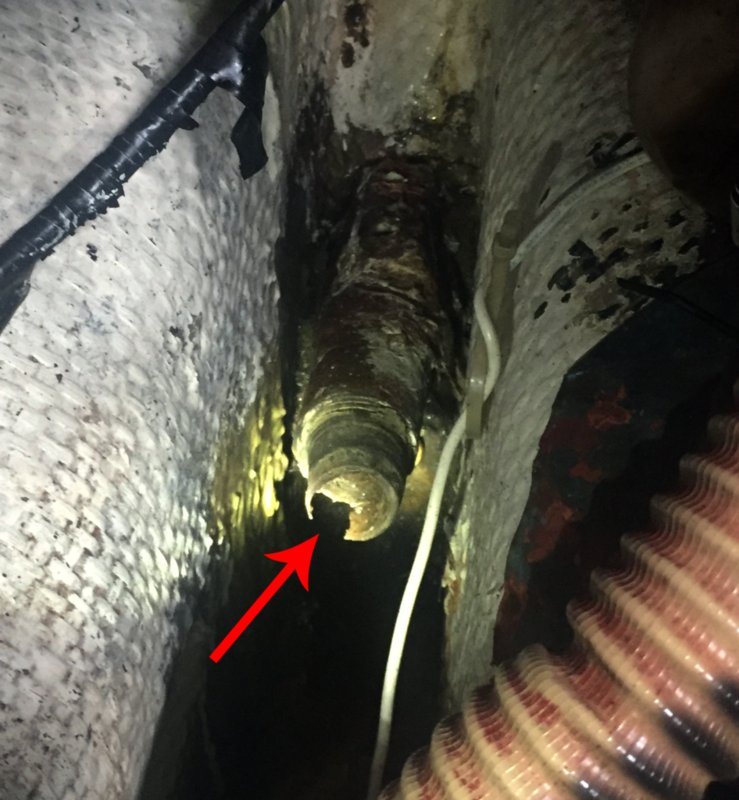 The Lasdrop shaft seal is supposed to slide over that and be tensioned with a couple of hose clamps, but we were having a heck of a time getting it tight enough to not leak. NO WONDER!! But don’t worry, the story doesn’t end there! 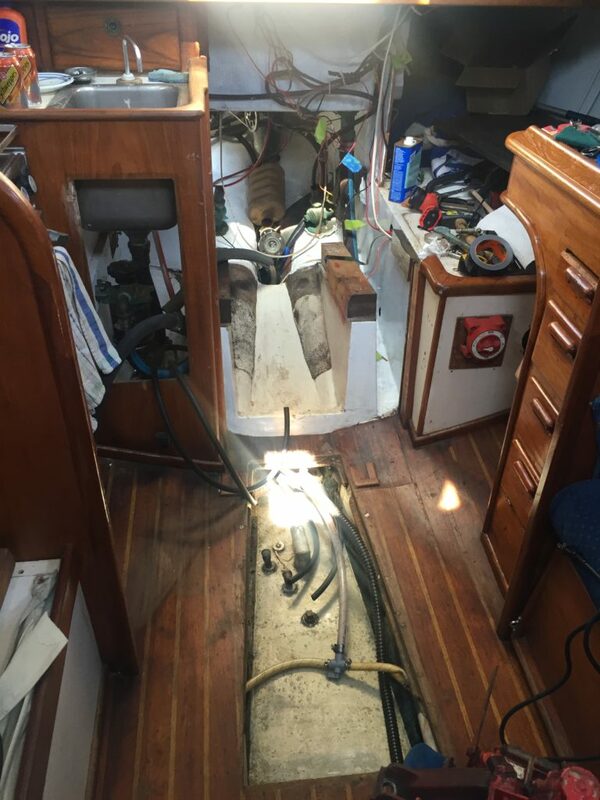 See, to get any kind of access to the stern tube (other than the upside-down access previously mentioned), we realized we were going to have to remove our engine. In land-life, this is kind of like deciding you might have to remove your roof*. But, you know, just temporarily while you get access to the parts you’re really working on. So we took the engine out. With the engine out, we had EXCELLENT access to the stern tube. 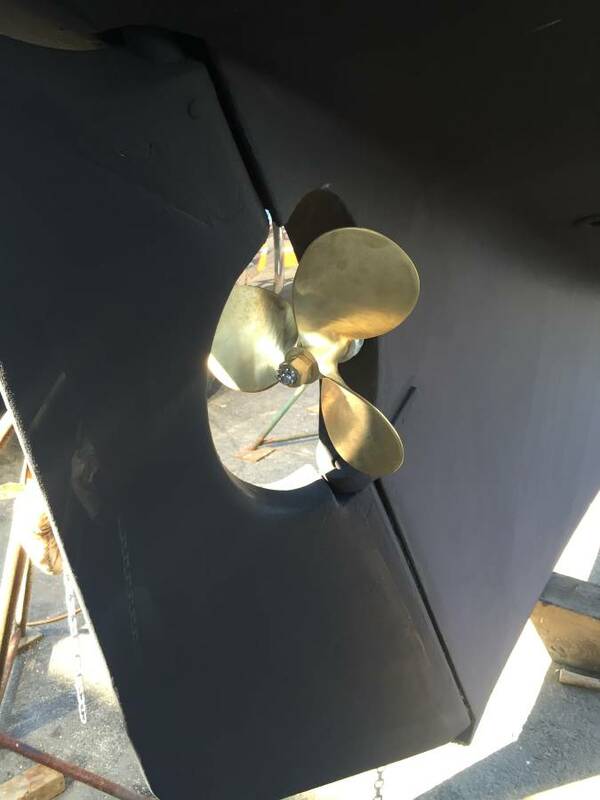 We were able to cut back that flimsy bit of stern tube (to get to the nice solid bit), order a larger Lasdrop to fit that size of stern tube (cuz nothing fixes boat problems like cold, hard, cash) and get the engine back in and on new mounts. While I still don’t really know how to align an engine, I definitely know multiple ways not to. We put the engine back in, and started the three-mount game. Up on one, down on the other. Down in the front, up in the back. 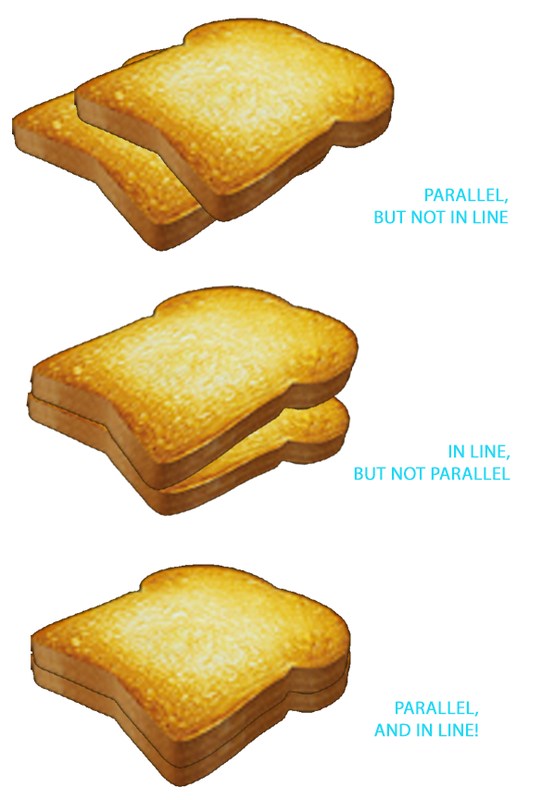 Toast? When push came to shove, we realized that we just weren’t getting it. No matter what, we were out by about 1/8″, and in feeler gauge world? That’s too much. I fought it, Jon insisted, and in the end we accepted that it just wasn’t good enough and we needed to find a way to shift the whole engine to port just a smidge. So we bit the bullet, took the engine out again, scratched our heads for a while, realized that the engine mount HOLES needed to be shifted over about 1/4″ to give us any kind of wiggle room, cut a chunk out of one of the engine stringers (hard block of wood) to give us more clearance off the engine block, filled the old stringer holes with epoxy and wood, drilled new holes, re-mounted the engine mounts (shifted to port 1/4″), and RE-ALIGNED THE DAMN ENGINE AGAIN. It was toast, ten out of ten. Just to keep life interesting, we also used this haul-out to remove and clean our stove (omg we should do that more often), remove and clean our aluminum fuel tank (omg it had a hole in it), remove our table (omg we may be taking this minimalist thing a little too far, but we no longer have a table), scrape-sand-paint the bottom (omg we’ve owned the boat long enough that Jon had to sand down the bottom again), replace all of our fuel lines and fittings, replace our engine starter approximately 2 hours before they launched us, and, oh yes, install a new prop. This time we bought a Campbell Sailer’s Prop, from the company in BC, and so far — we LOVE it. To be fair, we never really got to see what the other prop could do for us propulsion-wise (since it obviously couldn’t get up to full RPMs), but the Campbell Sailer’s Prop absolutely gives us better propulsion, has less drag sailing, and seems to give us good maneuverability in the marina (you know that’s important to me — gotta focus to hit those pilings!). …But a super quick test of max RPMs gave us 5.7 knots. We won’t run the engine at max revs, but it was nice to know our boat might actually be capable of motoring at 6 knots if we ever needed it to. 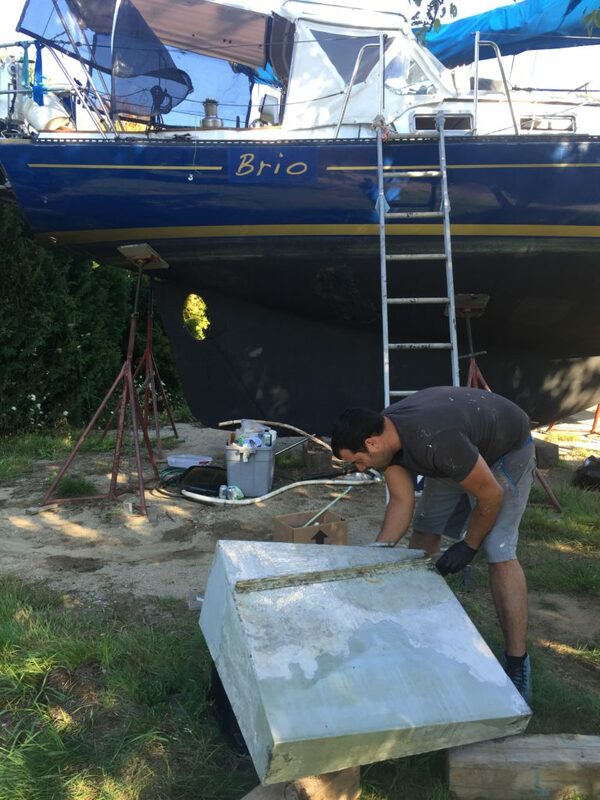 Full props (hehehe) go to Jon, for shouldering the absolute brunt of this boat-load of work while also balancing his business and our summer fun… somehow we managed a five-week haulout without going broke, going mad, or giving up on Brio… and I think I’m getting downright mediocre at aligning engines! Lmao. When we replaced our engine mounts we had to rig a block and tackle over the engine compartment so Paula could lower me upside down so I could get at the mounts. You have our sympathy. But sorry, we’re still laughing at your story. What size and pitch was the original prop ? What was it for the too-big prop and what is it for the new prop ? I’m just curious. Do you have 10% clearance between the prop and the cutout with the new prop ? How did the engine get aligned with the original mounts if you had to move it 1/4″? Was the engine always misaligned until you fixed it ? Could that have been the real original problem … not the seaweed ? Your writing is great and the story is fascinating. Thanks for writing it. 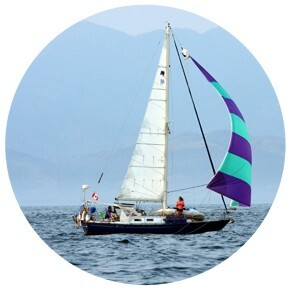 The original was a 13 x 9 — the too big prop was a 14 x 10, which they recommended based on our complaints of lack of speed (we motored at about 3.8 knots consistently — a truly maddening speed when your cruiser friends can all motor at 6 knots effortlessly!!). With the new prop, we have much better clearance — just over the 10% they recommend. We of course learned this 10% rule AFTER buying the too-big prop 🙂 Live and learn, right?? We hope that maybe we’ve solved at least 50% of the problems now… I’d really like to move on to new issues 😉 Not that making the same mistakes over and over and over again isn’t REALLY fun lol!! Thanks for being interested in our crazy little story. My hope is that one day we’ll look back and laugh at all of these shenanigans! I just realized that when you post a reply here there is no e-mail notification telling me you did so. Is that intentional ? “My hope is that one day we’ll look back and laugh at all of these shenanigans!” … that is usually the best part, reliving the adventure when it is not as frustrating as it is enjoyable in retrospect. Where are you guys headed next? I’m sorry, but I had to laugh also! I feel your pain. Your next post looks like it was worth it.